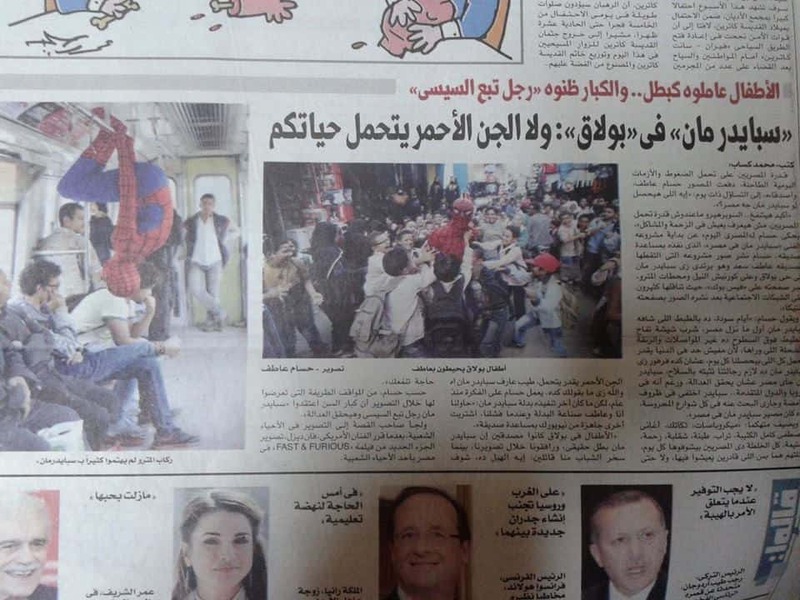 “Not everyone is meant to make a difference. 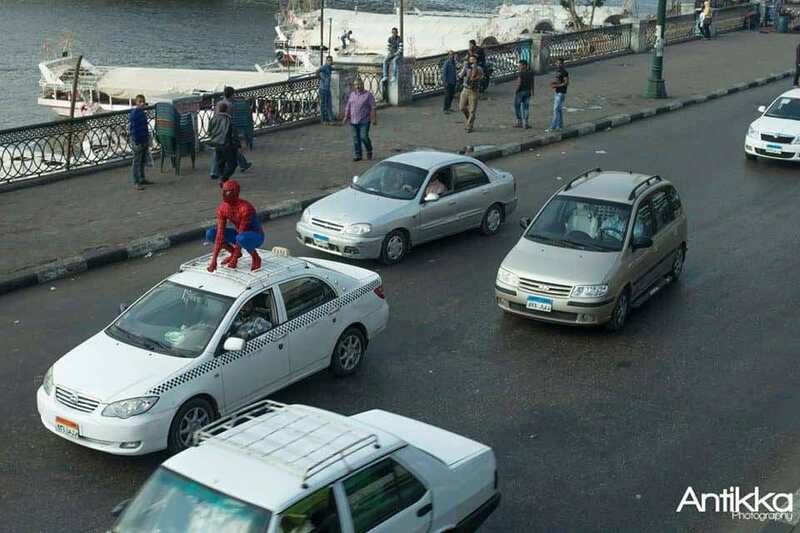 But for me, the choice to lead an ordinary life is no longer an option” – Spider-man. 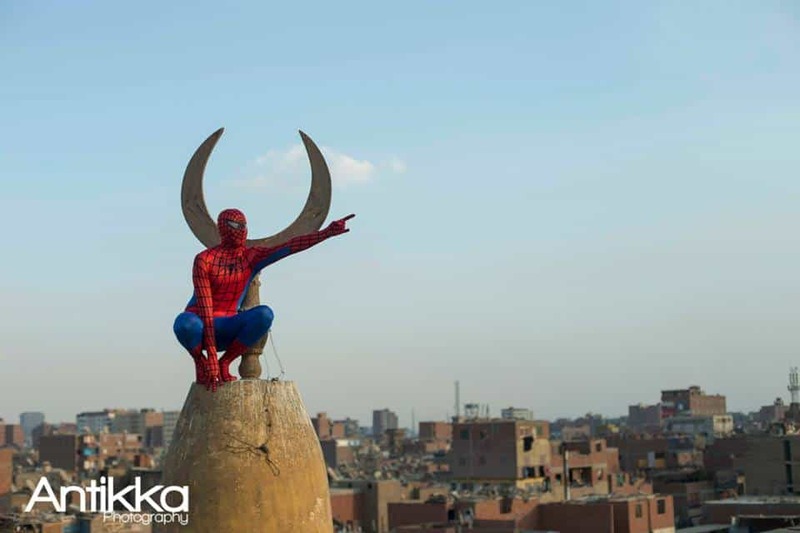 Believing in this quote, an Egyptian photography agency named “Antikka Photography” launched a series of photoshoots of Spiderman in the streets of Cairo. 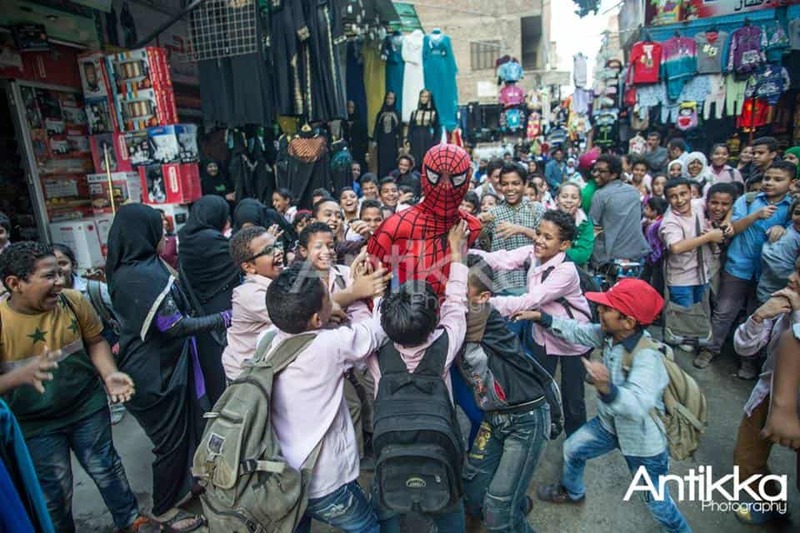 The famous character made its first appearance with school children in the slum area of Bolaq. 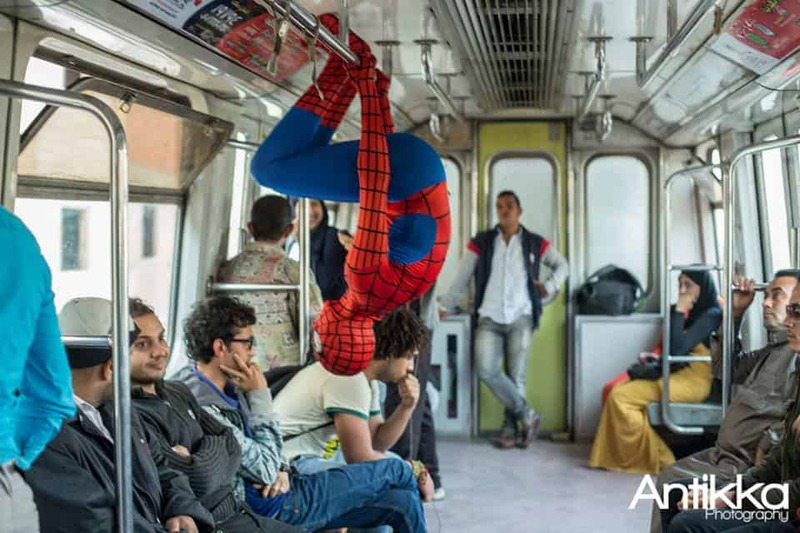 Spiderman was also caught on camera catching a public bus, standing on a rooftop cluttered with TV antennas and making appearances in Old Cairo landmarks. 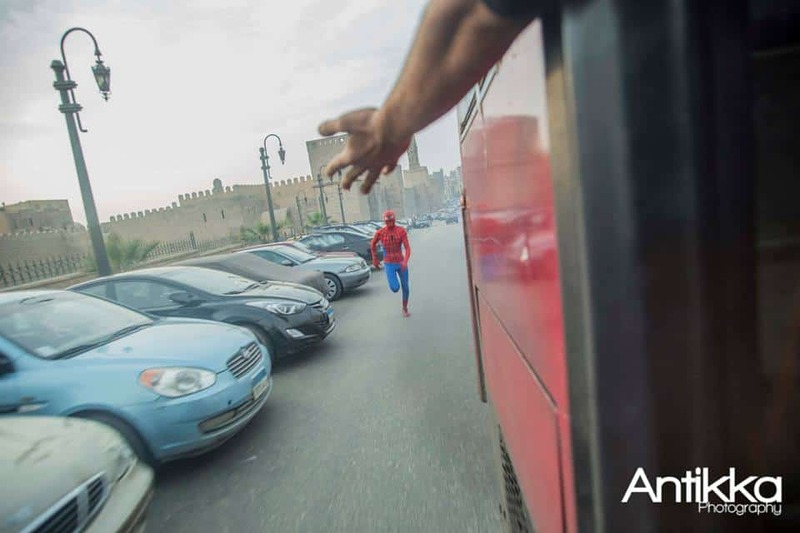 Antikka Photography made a successful attempt at making a difference in the community and spreading positivity in the busy streets of Cairo.